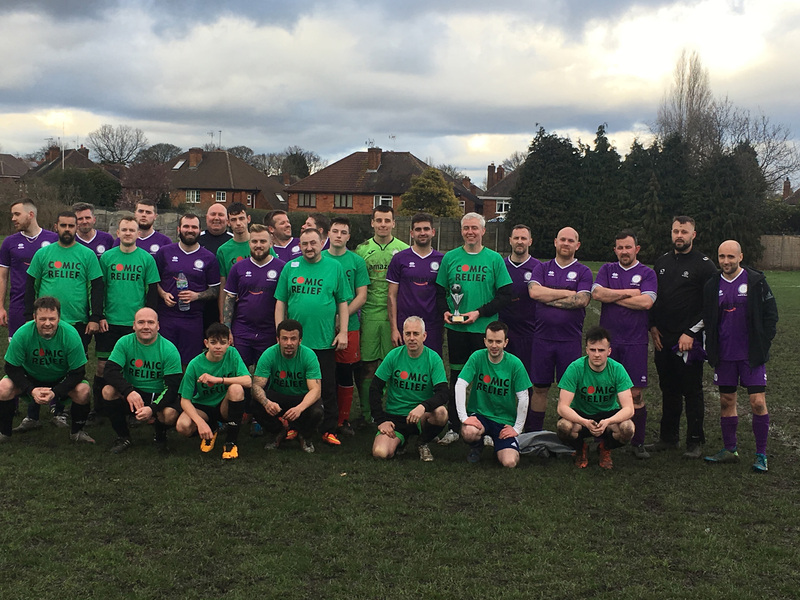 Vincent Timber played against Hart FC, at Holly Lane sports and social club, the final score was 4-2 to Vincent Timber. 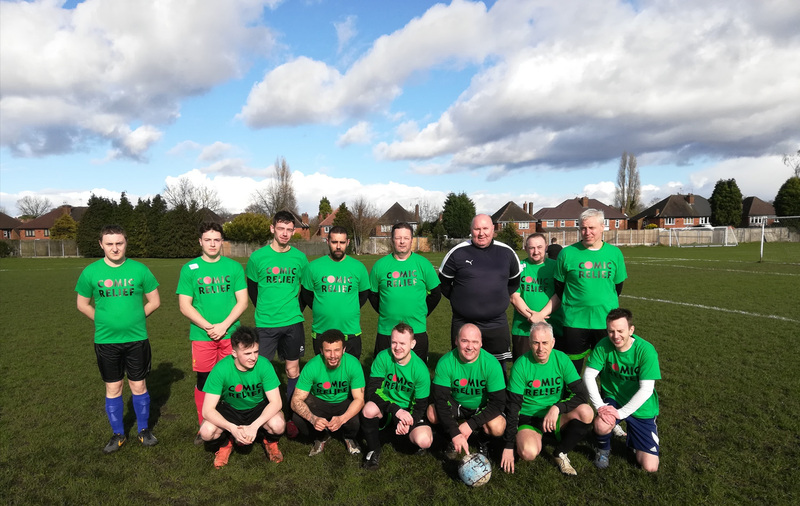 The T shirts were purchased from The Sports Shop & Custom Clothes, Kingswinford who also donated the cup that was awarded to Vincent Timber. We would like to thank everyone who helped support Vincent Timber, enabling us to raise �513.66 for comic relief.